ICICI Prudential Life Insurance attempted to create some heart-warming content titled, #IValueYou, where they highlighted the importance of family love and how it is a boon to have ties that strengthen your perspective towards life. In over four minutes, the film candidly unveils various families by engaging them in sentimental banter asking them about the most valuable person in their lives. Next, it questions whether these people feel valued for all that they do for their family? The film then brings all of them together to fill our screens with overwhelming emotions. Considering the Indian audience and the social media statistics, brands are barely driven by logical considerations in comparison to their emotional experience. Here too, with over 7 million views on Facebook and 7.5k reactions, ICICI achieved its purpose of getting a step closer to the hearts of people and building an emotional connect for a better brand recall. Protection became the key highlight of the campaign where every close relationship of a parent-child and husband-wife was brought in the picture. Though, financial decisions are not driven on emotions, this brand directed its content in a manner that emphasizes on the significance of having insurance by putting their family first. Recently, ICICI Bank iMobile too inclined towards a consumer-centric approach by keeping the senior citizens in mind and this time diving into a comical approach. 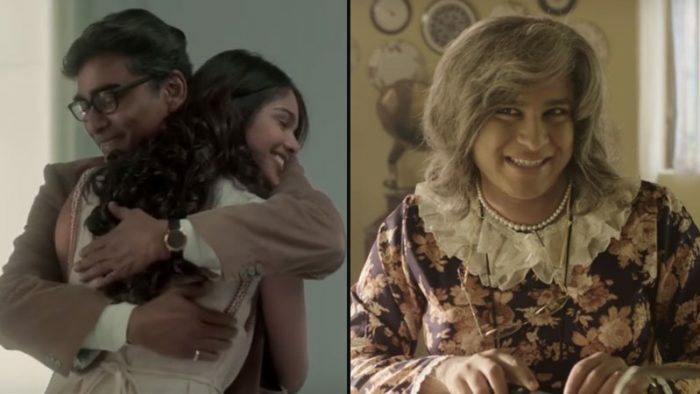 Through their film #SimpleChahiye, comedian Abish Mathew dressed up in an attire of an old lady where he spoke about the technical complications which becomes difficult for the older generations to decipher. 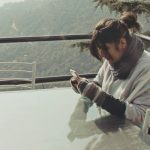 Building up a story which spoke about how technology has taken over and there are apps for almost everything, the ICICI mobile application is the simplest amongst all. If Mrs. Pinto can use it, so can you. ICICI through this film hinted towards serving a diverse demography and getting accustomed to the fast-paced world. Using influencer marketing on Twitter, comedians like Biswa Kalyan Rath, Sahil Shah, Sapan Verma and Kanan Gill were seen tweeting about the film. Bro, coffee hai, bas #SimpleChahiye! They even ignited a new trend where #SimpleChahiye became the crux of it as Twitteratis shared their feelings of what little elements in their lives they wished were simpler, clearly giving rise to interesting conversations around #SimpleChahiye, which built a wave on social media, not keeping the conversations monotonous around BFSI. Tries applying winged eyeliner, but smudges it all over the eyelids. Fashion may not always b as complicated as shown in fashion shows! It shd b simplified as per ur personality! #SimpleChahiye ? Though, both these campaigns erupt from two branches of the brand ICICI, the approach in both these cases found some similarities thus concluding towards a larger brand identity image. Both these campaigns don’t merely want their audience to ‘like’ their content but it taps into the underlying emotion and gets them intrigued. ICICI ensures a strong screen presence and showcase their knowledge of engaging their consumers. Absurd Quora confessions that will make you go WTF!